Expression of the gap junction protein connexin 43 (Cx43) is increased in astrocytes from SOD1 mutant mice, and blocking Cx43 is neuroprotective, according to a new study published in the April 16 Glia online. 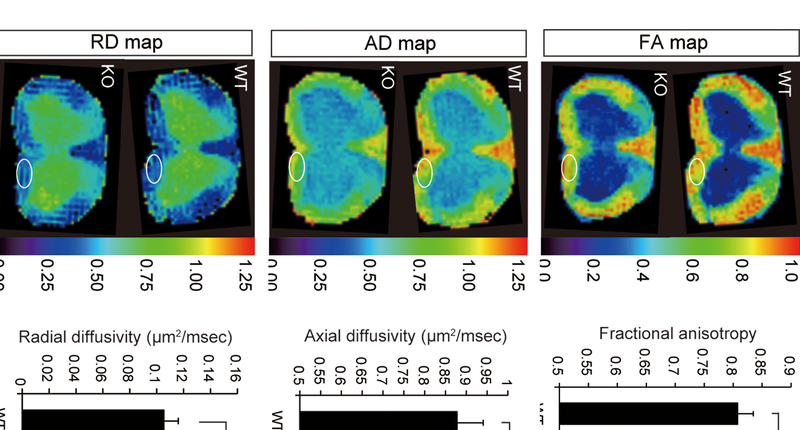 The results point to increased expression of astrocytic gap junctions or their component hemichannels as a potential mediator of astrocyte toxicity in ALS. Mind the Gap. Connexin 43 expression is elevated in the spinal cord of SOD1-G93A mice. Image courtesy of the Nicholas Maragakis lab. Results in SOD1-mice and ALS patient-derived astrocytes suggest that dysfunctional astrocytes contribute to motor neuron death in ALS (see Aug 2011 news; Feb 2014 news), but the mechanisms of this toxicity are not completely understood. 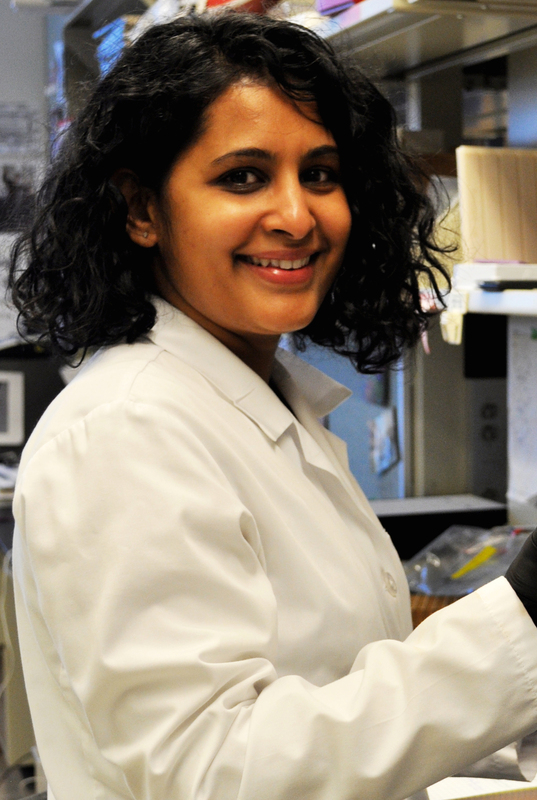 “This study demonstrated that connexin 43 is not just another astrocyte protein that is upregulated as a marker of astrocytosis,” said first author Akshata Almad, “but plays an important role in toxicity.” Almad, and senior author Nicholas Maragakis, are at Johns Hopkins University in Baltimore, MD. Connexin 43 is the main astrocyte connexin and assembles to form the component hemichannels, that, when paired, form a gap junction between two neighboring cells. Gap junctions allow ions and metabolites, up to ~1 kilodaltons, to pass freely between cells. Recent work has also suggested that individual hemichannels may act as membrane pores for flow of materials between the cytoplasm and the extracellular space. An increase in Cx43 has been previously reported in rodent models of ALS (Diaz-Amarilla et al., 2011; Keller et al., 2011), but the functional consequences of the increase have not been reported. To explore the consequences of Cx43 upregulation, the authors first showed that in the spinal cord of SOD1-G93A mice, Cx43 increased over time, with an ultimate 2.5-fold increase at the endstage of the disease versus wild-type mice at the same time point. In human sporadic ALS tissue, Cx43 was increased two-fold in the motor cortex, and eight-fold in lumbar spinal cord, as compared to controls. The increases appeared to not require the presence of dying neurons, since glial-restricted precursors from SOD1-mutant mouse spinal cord, differentiated into astrocytes, also upregulated Cx43. No similar upregulation was seen in astrocytes from mice over-expressing wild-type SOD1, indicating that the increase in Cx43 is “not just a function of transgene over-expression but is specific to the mutant form of the SOD1 protein,” the authors concluded. In astrocytes derived from induced pluripotent stem cells from human ALS patients, Cx43 was upregulated three-fold (SOD1), five-fold (sporadic) and six-fold (C9orf72) compared to controls, “potentially making Cx43 a common mechanism in astrocyte-mediated disease progression,” they said. In order to explore the functional implications of elevated Cx43 expression, Almad and colleagues examined how selective blockage of Cx43 impacts astrocyte calcium signaling as well as astrocyte-mediated toxicity to motor neurons. In response to both mechanical and chemical stimulation, calcium signaling was elevated in SOD1-G93A astrocytes compared to controls expressing human wild-type SOD1 (SOD1-WT), effects that could be mitigated by blocking either hemichannels or gap junctions. In co-cultures of SOD1-G93A astrocytes with motor neurons derived from mouse embryonic stem cells, selective blockade of either Cx43 hemichannels or gap junctions prolonged motor neuron survival as compared to survival with untreated SOD1-G93A astrocytes. The results, Maragakis said, argue for “a cell-autonomous increase in connexin 43 from the start,” which may be augmented as surrounding motor neurons die. Aberrations in the function of gap junctions fits with the idea that astrocytes play a role in disease propagation, Maragakis added. While the pores they enclose are too small for the passage of protein aggregates, their ability to spread aberrant signals may help kindle the disease process beyond the local environment. Because Cx43 is present in heart muscle as well, blockade as a therapeutic strategy may present risks, “but more specific blockade tools are being developed,” Almad noted. Almad AA, Doreswamy A, Gross SK, Richard JP, Huo Y, Haughey N, Maragakis NJ. Connexin 43 in astrocytes contributes to motor neuron toxicity in amyotrophic lateral sclerosis. Glia. 2016 Jul;64(7):1154-1169. Epub 2016 Apr 16. [Pubmed].